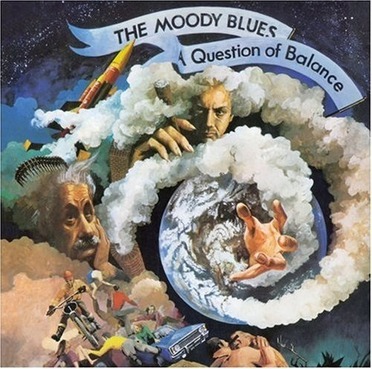 "The Moody Blues' first real attempt at a harder rock sound still has some psychedelic elements, but they're achieved with an overall leaner studio sound. The group was trying to take stock of itself at this time, and came up with some surprisingly strong, lean numbers (Michael Pinder's Mellotron is surprisingly restrained until the final number, ""The Balance""), which also embraced politics for the first time (""Question"" seemed to display the dislocation that a lot of younger listeners were feeling during Vietnam). The surprisingly jagged opening track, ""Question,"" recorded several months earlier, became a popular concert number as well as a number two (or number one, depending upon whose chart one looks at) single. Graeme Edge's ""Don't You Feel Small"" and Justin Hayward's ""It's Up to You"" both had a great beat, but the real highlight here is John Lodge's ""Tortoise and the Hare,"" a fast-paced number that the band used to rip through in concert with some searing guitar solos by Hayward. Ray Thomas' ""And the Tide Rushes In"" (written in the wake of a fight with his wife) is one of the prettiest psychedelic songs ever written, a sweetly languid piece with some gorgeous shimmering instrumental effects. The 1997 remastered edition brings out the guitar sound with amazing force and clarity, and the notes tell a lot about the turmoil the band was starting to feel after three years of whirlwind success. The only loss is the absence of the lyrics included in earlier editions."